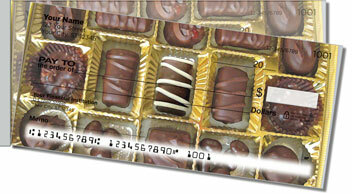 Serious "chocoholics" just can't resist an assortment like this, and neither can we! 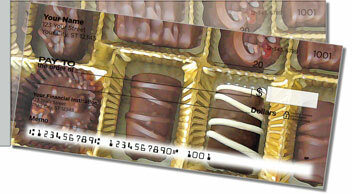 Imagine sinking your teeth into one of these delicious confections. What'll it be? No way to know besides biting in! 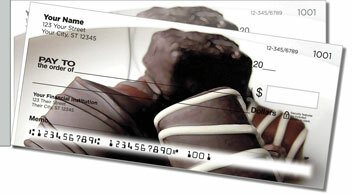 But dang -- they're checks, not chocolates! No matter. 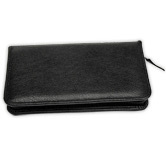 They'll still sweeten up your pocketbook, thanks to their short-side perforation on the left. It affords superior leverage for a trouble-free tear. No more accidental rips! 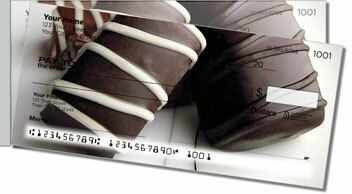 This appetizing design is also available as a set of matching address labels to complete your order. Personalize them both right now!